The police killings of Alton Sterling and Philando Castile this month have sparked nationwide protests as the nation once again struggles to confront the reality of racialized police violence against blacks in the U.S. We continue to support the Black Lives Matter Movement and calls for police accountability, community oversight and training of police officers in line with the science on implicit bias. We understand, however, that until Americans are willing to honestly address the ways that racism is embedded in our society and institutions, disproportionate killings of blacks and other people of color by law enforcement will continue. Although the road ahead is long, maintaining the status quo is not an option. 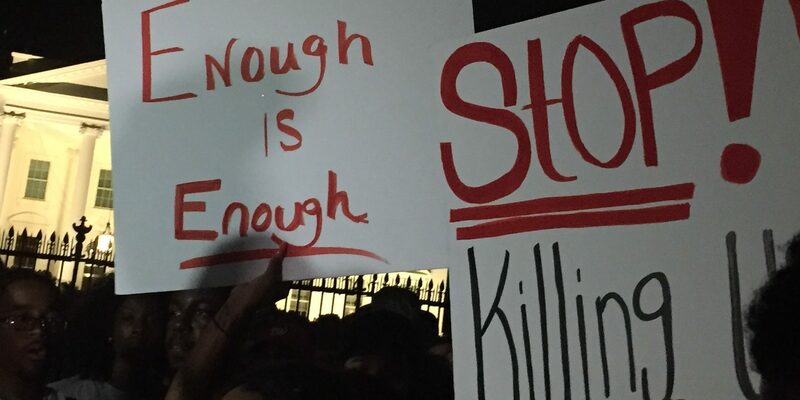 It is not enough for us to ask, “when will it end?” It is not enough for us to be outraged when the next viral video of a police shooting emerges. Sustained and collective action is required to dismantle the policies, systems and practices that support police brutality and other forms of oppression. Sociologists for Justice aims to create a space for action and engagement among a community of scholars and advocates committed to racial justice. As we work toward building this community, you can connect with us here and on Facebook to stay abreast of our activities and to join us in our efforts. Please also save the date for a discussion and brainstorming session on Saturday, August 20, 2016 at the upcoming American Sociological Association meeting in Seattle, WA. The forum will be held at 9:45 pm immediately following the racial justice plenary.